It’s been a great month for us, and we’ve got some cool stuffs for you. Here’s what we’ve been doing. RankReveal is bigData, it gets us so much data. It was a pain that we did not provide a way to sort through the ranking data. This was a thing in the past. Now, you can sort the column by keyword (A-Z), URL, ranking and change in ranking. To help you sort it better, you can apply filters to only show keywords that are added by you or RankReveal, with or without change, with or without ranking. You can now easily sort your keywords by their ranking. Monitoring your keyword’s trend is now much more straightforward. Throw keyword filtering into the mix and you got yourself a full-fledged analytic mahcine. Personally, I pay a lot of attention not to keywords that are ranking high, but to those that are ranking behind the pages (we’ll come to sorting later). They are usually the keywords that do not have a matching content, from “Search Intent” point of view. We would either put up better content for that keyword or change the ranked content to better serve the intended search intent. 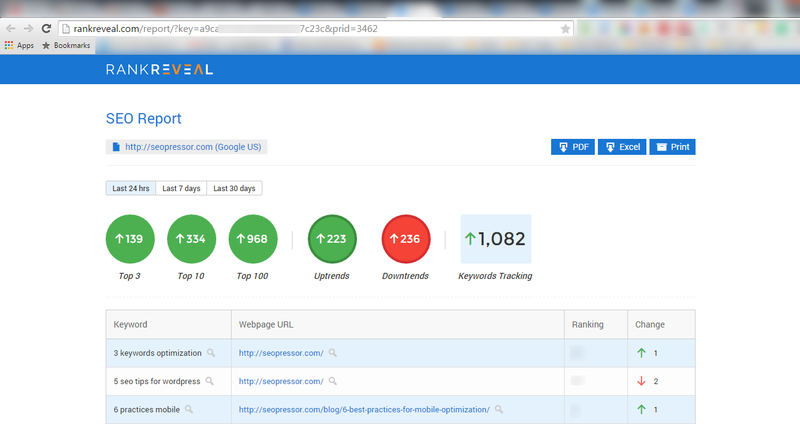 We totally had no idea that we are ranking for “What is SEO” with our plans and pricing page! 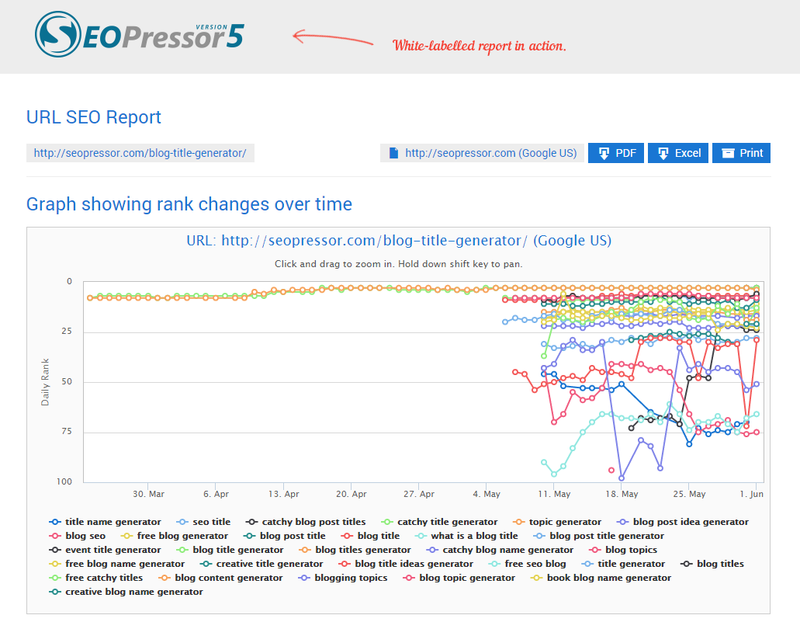 This very quickly get us better ranking and traffic, systematically! Many of you run SEO businesses and are tracking the rankings of your clients. What if there’s a way to show your clients the work you do? We’ve made this possible. You can now share project with your client! At the top of your project page, you will now see a “share” button. Clicking on it opens up a new page, which is a public page accessible by anyone having the URL. This URL can be passed to your clients and they will be able to access the project page. So give that to your Clients! Step 1: Click on the share button. Step 2: Copy the URL and share it with your clients. When your clients see that they are ranking for so MANY more keywords that they hired you for, they will be delighted. From my experience, the impact is that they won’t be paying attention to the ones they hired you for. They are going to ask you to help them out ranking for more keywords, especially those that are ranking at the pages behind. So, get more work done and grow your business! Beside the “share” button at the top of a project page, you will notice an “export” button. This allows you to export the project data to a PDF, or an XLS. If you are going to give this to a client, PDF is nice. If you are going to pump the data for further analysis, XLS will help you accomplish this. You can also download your report in both PDF and XLS format. A reporting system is never complete without a proper white-label feature, we know that very well. So together with our reporting system, we are also announcing the “white-label” feature today. To white-label your report, simply visit your “Profile” page and upload your logo at the “White Label Solution” section. So these are all the cool updates we have for you this month, we hope you enjoy! And as always, please send us a feature request in the support area to notify us of any requirement, changes or ideas you have. We are all ears. This is built for you. You can access the support area at the left menu after logging into your account. If you have not signed up as a RankReveal user, do it now or you are going to miss out on a lot of keywords that you can act on, that are already ranking for your website. Aha, finally, don’t forget to visit your project pages often and add the revealed keywords to your project! Remember to click that blue button whenever it shows up.